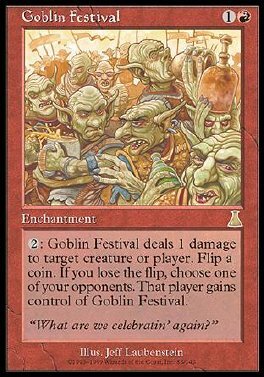 2: Goblin Festival deals 1 damage to target creature or player. Flip a coin. If you lose the flip, choose one of your opponents. That player gains control of Goblin Festival.